I was watching one of the my favourite YouTubers Essiebutton (http://www.youtube.com/user/essiebutton) do a vlog on this topic and I loved it so much I just had to complete a blog post on this topic. I spend way too much of my hard earned money in drugstores or chemist shops as we call them here in Ireland so answering these questions was fun . I have tagged a few of my favourite bloggers in this post below so I hope you participate and I cannot wait to read your post. What is your favourite drugstore make up brand? What is your favourite face product? What is your favourite eye product? What is your least favourite drugstore product? What is the best drugstore bargain? What drug store brand or product is overpriced? What is your best drugstore dupe? Oh this is difficult as I like different products from different brands. I tend to buy a lot of products from L’Oreal. Examples of some L’Oreal products I have bought in the last few months are True Match Foundation, Volume Million Lashes Diamantissime, and Sublime Bronzer. I use a large variety of product such as fake tan, hair products, body products and makeup. I like L’Oreal as it tends to be good quality and is nice on the skin. I have to admit some products can be a little expensive but overall it is a good brand which offers a varied product line. 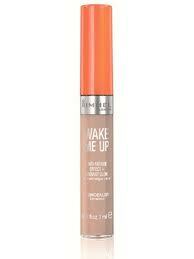 I am in love with Rimmel Wake Me Up Concealer. I had seen so many reviews I just had to try it. I am so glad I did. I had been using MAC concealers and I have to admit this Rimmel concealer is better. It is pigmented, really excellent consistency and provides excellent coverage. I simply cannot say enough good things about this product. Revlon Lip Butter in Cotton Candy. 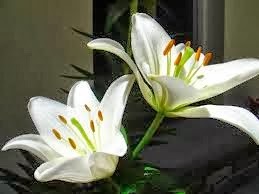 Much loved by so many people it is a favourite of mine also. 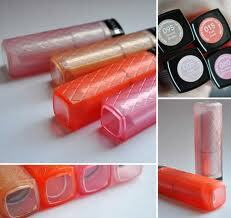 It is a mixture of the perfect lip butter balm with the hint of delicate colour. The range of colours on offer are excellent, the quality is fabulous and the price very competitive. 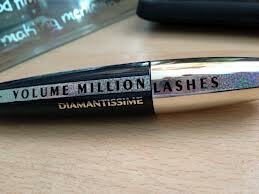 Volume Million Lashes Diamantissime by L’Oreal. This is by far one of my all time favourite mascara’s. It gives you big volume lashes that are separated and bright. Priced really well this is, in my opinion, a perfect drugstore buy. Volume Million Lashes Diamantissime by L’Oreal. 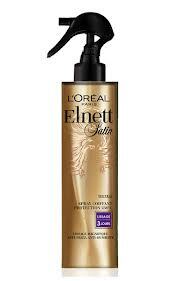 Once again L’Oreal comes up trumps via L’Oreal Elnett Hair Spray and Heat Protector Spray. The hair spray does not leave your hair hard and can be simply brushed out. I also love James Brown Volume Mouse. Once again my pursuit of big hair brought me this product. It gives volume and helps to hold style in my hair. Soap and Glory all the way! Any shower or bath products by this brand are fabulous. It is rich, leaves your skin so soft and smells divine. It is really a luxury product at a decent price. Each year Boots Stores have a special soap and glory gift set on offer at Christmas and it is just brilliant value. I have bought it for the last 3 years. It contains such as items as bath foam, shower gel, body lotion, face wash, hand and foot cream etc. I last me months and an added bonus you also receive money off voucher pack which gives you Boots advantage points for purchases, money off coupons and value certificates. Love it! I have had a long standing love affair with all things cosmetic and beauty related, I have tried so many brands and the one brand that simply fails to impress me in any way is Bourjois. I have tried lots of products including mascara to nail varnish and they just don’t impress me. I found the mascara did not offer the desired look that I hoped to achieve and it had no staying power at all. The nail varnish took too many coats to achieve the colour and due to the number of coats you had to use it took forever to dry and chipped too easily. In summary I tend to stay clear from this brand. As earlier mentioned I <3 Rimmel Wake Me Up Concealer and I think at the moment this product is the best drugstore bargain. I gives a lot of high end branded concealers a good run for their money. It is a great product at a great price. I have two options here. First off is No7. I find this brand to be very overpriced for the products offered. No 7 may not be very widely available outside boots stores so I shall pick a second brand. Philosophy is the second brand. I really like this brand and the products but I just find them expensive so I would tend to purchase these products as a treat to myself! 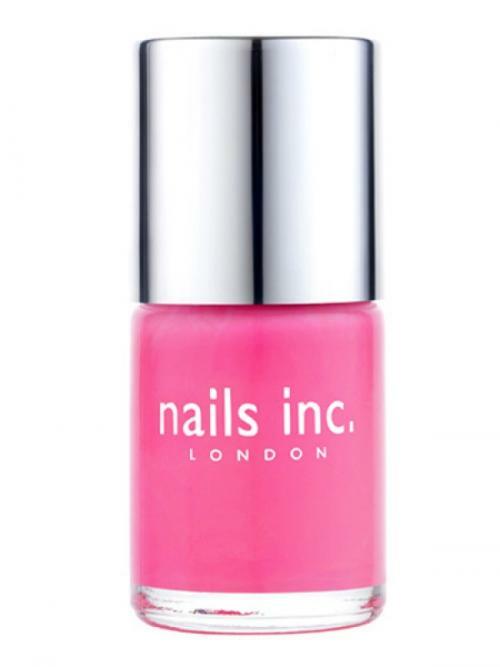 One of the best dupes I have found recently is Essence Colour and Go in Hot Pink. 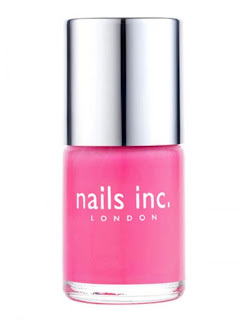 It is the perfect dupe for Nails Inc Walton Place. I can see little difference between the two only in the price. There it is the best, worst and all the rest of drugstore products and brands. Ok so real fun part tagging time. 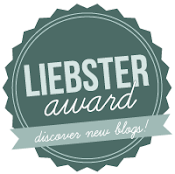 I tag the following fabulous bloggers. Hey Hun, Defo do , Id love to see your response. ya have to love boots and likes for a good old beauty overdoes lol. My sister is in the UK this week I have sent her with a list of SLEEK products to buy me as we cant get it here. Hiya, Thanks for comment and follow ! I hear ya I am no good at video's either, not brave enough I think. Soap and glory is fab but I think I may have found a good competitor in RITUALS .....OH fabulous.